Chile has along tradition of winemaking reaching back to the Spanish conquistadores. The country is now the tenth largest wine producer in the world and recently over took Spain to become the sixth largest supplier to Britain. Chile is rich in history and geographically unique, bordered on one side by the Pacific Ocean, on the other by The Andes mountain range. Within these varied lands and climates exist some of the finest wine-growing regions in the world. In the 16th century during Spanish colonization missionaries introduced grapevines in order to produce wine for Catholic ceremonies. Francisco de Aguirre established Chile’s first recorded vineyard in Copiapo, which is in the north of the country. Diego Garcia de Caceres planted the first vineyard in the capital, Santiago, in 1554. 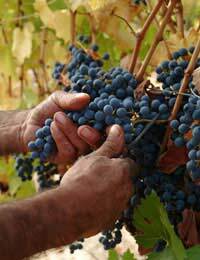 Grape cultivation and wine production spread south from Santiago and become popular throughout the country. By the start of the 17th century Chilean wine was becoming very successful and had started to interfere with Spanish wine exports. King Phillip II of Spain issued a series of royal decrees to try to stop further vineyard planting, and attempted to impose taxes on vineyards to protect Spanish interests. Despite these regal attempts at control new settlers in Chile continued to establish vineyards and make more wine. In The late 18th century there was big increase in Chilean exports, and Chile become a serious challenger to European winemakers on the international market. Although there had been a large amount of wine being made and exported, it was in the mid 19th century that the serious craft of Chilean wine began. In 1830 French viticulturalist Claude Gay brought over 60 vine clippings to Santiago, and then went on to persuade the Chilean Government to create a Quinta Normal de Agricultura, a state-owned agricultural station. Here all the man French and Italian grape varieties were grown and used in wine production. In 1851 Don Sylvestre Ochagavia Echazarreta brought more varieties from France including Cabernet Sauvignon, Merlot, Pinot Noir, Sauvignon, Semillon and Riesling. Chile escaped the phylloxera plague that destroyed most of Europe’s vineyards in the late 1800s, so these vines are thought to be the only surviving pre-phylloxera strains. The wealthy aristocratic Chilean vintners recognized the importance of careful management of the vineyards and employed French experts to maintain very high standards in production. In 1889 they were rewarded for their efforts when Chile was given the ‘Grand Prix’ at a very prestigious Paris wine tasting. Chilean win production and export reached a peak in 1938 with total vineyard acreage at over 100,000 hectares. Unfortunately for the country’s winemakers this growth was about to be thwarted by the onset of World War Two. The war marked the start in a serious decline for Chile’s wines. Heavy taxes and governmental attempts at social control to stop alcohol consumption hit the industry hard. In the post-war period and into the 1980s political and economic instability continued to make it impossible for winemaking to recover, and half the country’s vineyards were destroyed. The military dictatorship of Pinochet finally came to an end in 1990, and Chile’s wine renaissance could get underway.